English peach georgette suit with front panel embroidery. 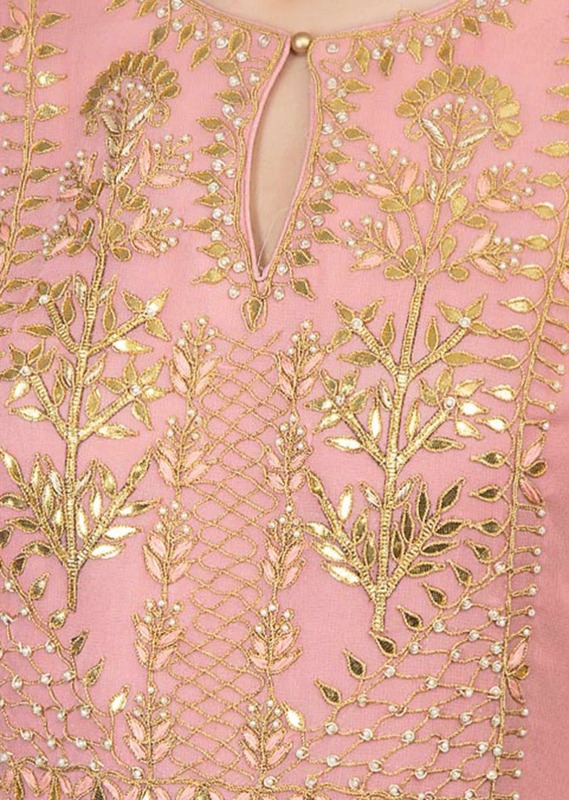 Embellished in cord, gotta patch, thread, zardosi and moti embroidery . It come with a matching georgette palazzo with weaved butti.